It is decorated to the exterior with lotus flowers and buds on scrolling meander, the interior with a central medallion enclosing a lotus flower on a leafy spray. 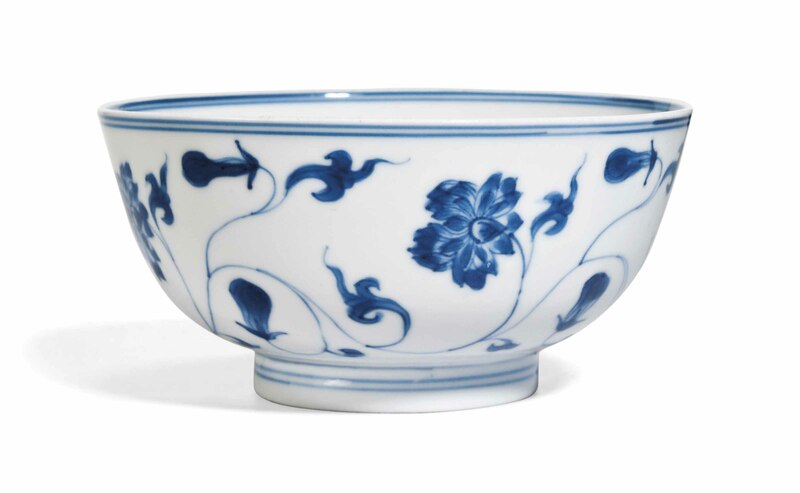 With apocryphal Chenghua underglaze blue six-character mark within a double circle to the base. 4½ in. (11.5 cm.) diam. With Vandervan Oriental Art,’ s-Hertogenbosch, the Netherlands, 2 July 1998.